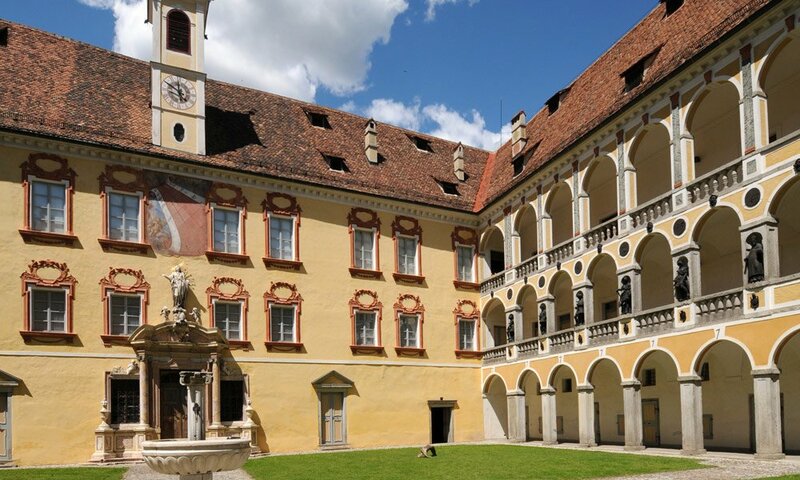 The original Ottonian building dating back to the 10th century has been redesigned many times and is now an impressive baroque building from 1745-54 with its two striking towers in front of the nave – one of the most important sights of Brixen ever. The splendid Romanesque cloister with its vaults from the 14th century is a feast for the eyes. Worth a visit are the frescoes from the late Middle Ages. The parish church also originated in the Gothic style but has been baroque decorated in its interior, an evidence of this are the powerful ceiling paintings by Joseph Hauzinger. The former princely-imperial Hofburg with the diocesan museum is located not far from the cathedral. The Renaissance mansion has many baroque features. In the sumptuous courtyard with the three-storey loggias there are exquisitely worked terracotta figurines from the year 1600. On the north side of the cathedral, the town hall – one of the sometimes overlooked monuments of Brixen, with its stairs and the crenellated gables is an architectural feature. About a hundred years ago there was still a simple burgeois house. 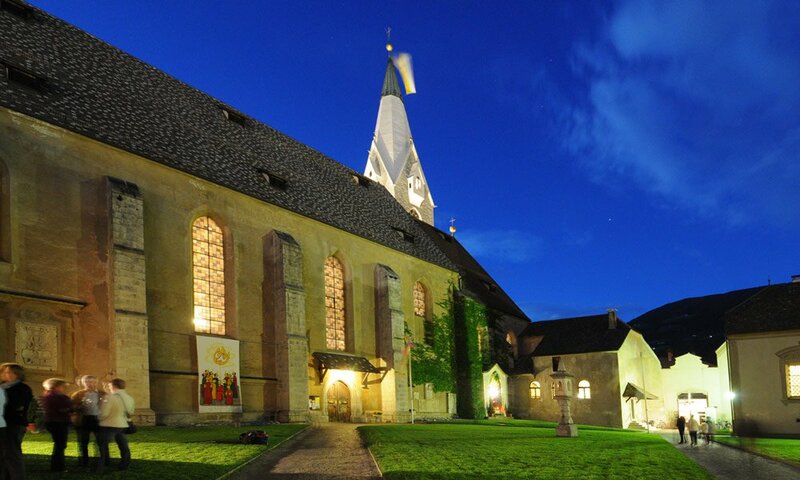 The Augustinian monastery north of the city was founded in 1142. Among the buildings, which are grouped around two courtyards, there is the crenellated Michael’s chapel, which is also called “Angel castle” because of its name and the structural form. The three-aisled basilica from the 12th century got its present appearance in the baroque period. 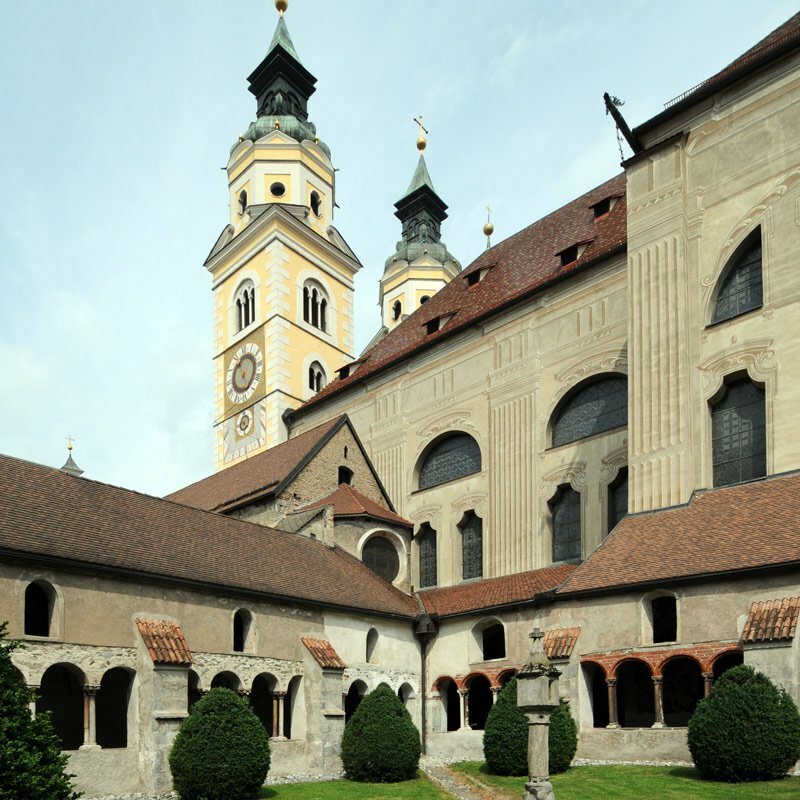 In addition to the Gothic cloister, the miraculous fountain and the library, the grave of the famous South Tyrolean minstrel Oswald von Wolkenstein deserves special attention. Neustift is also one of the most important wineries in the region. 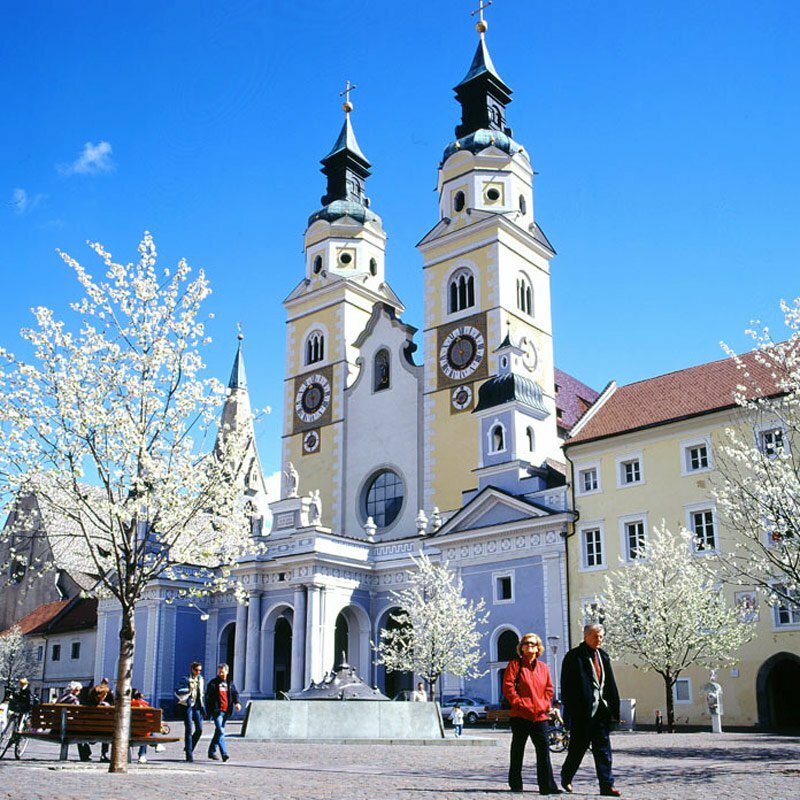 On the local mountain of Brixen you cannot only walk well and enjoy the panorama view – this also a valid insider tip throughout South Tyrol for winter sportsmen. Around 40 ski-safe slopes will make the hearts of skiers beat faster. 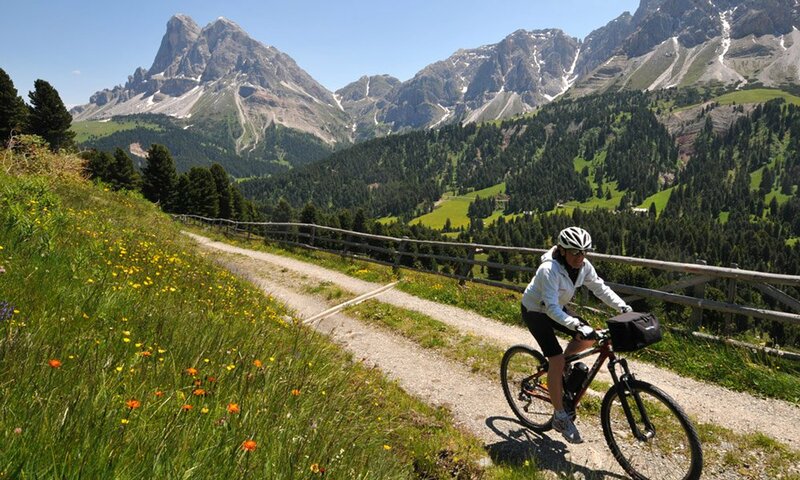 The best known is probably the Trametsch-descent with a length of 9 km and a difference in height of 1,400 m.
This idyllic excursion destination is located 3 km northwest of Brixen at the entrance to the Schalderer valley. The Vahrn lake is appreciated by its guests because of its iodine-containing water. During the Törggelen period, in connection with a visit to Neustift or simply to taste a sip of wine from the local vineyards, the charmingly situated Vahrn is always a good address.